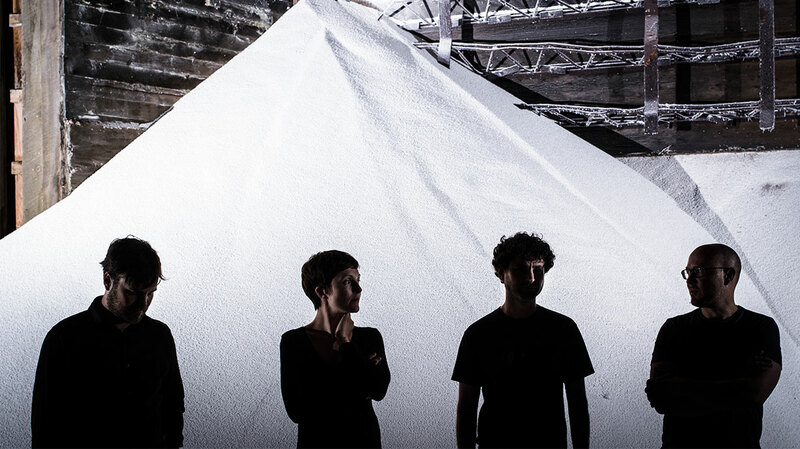 Where Poliça’s previous albums primarily focused on personal experiences, the Minneapolis band’s latest LP sees them grappling with weighty social issues. Here, drummers Drew Christopherson and Ben Ivascu explain how the war on drugs and the militarisation of police informed the experimental synth-pop on United Crushers. You toured heavily in support of your last album, Shulamith. Did you take time out before starting on this album? Drew Christopherson: Actually, most of the break came after we’d recorded the new album. We went straight from touring to rehearsing and writing the material for the new record for a few months, and then we travelled down to Texas and recorded it in April of 2015, and then took the rest of the year off. In that time, Ryan [Olson] was doing more recording and mixing for the record, but we didn’t do any touring so it felt like about a solid year off. Was there a track that paved the way for the rest of United Crushers? DC: Usually, Ryan will have a batch of new material that we all start writing our parts to. I think ‘Kind’ would maybe be the track, in that it’s not a total departure from Poliça’s material but it is bringing in new ideas. It’s one song where Ben and I are starting and stopping a lot, and then there’s a whole lengthy part of just Channy’s writing over swirling instrumentation with no beats. So it’s sort of emblematic of us trying new stuff that we didn’t do previously, and it has a little bit of a broader dynamic range, with more layers to the music. You do feel like you’re being crushed by the city a little bit, and by the powers that be. Sonically, was there any particular goal for this record? Ben Ivascu: I mean the only difference is that we learned all the material before we recorded it. And that was intentional. With the first record, Drew and I pretty much improvised in the studio, and then the second record was kinda half and half: some we rehearsed and played out in front of people, and the other half was pretty much the same way as the first record. Only this time did we actually get time to figure out what worked and what didn’t, and really hone our parts. DC: Yeah, we had learned with the first two records that we would leave the studio but a couple of months into touring nuanced ideas made their way into the songs and changed them. We wanted to record this one with all of that already established, so we rehearsed for three or four months. We also went into the studio with 22 songs and then picked our favourite ones, which we had also never done before. And we did a 10-date tour where we just played the new songs every night, so by the time we actually went to record them, we had worked out all those live kinks and that helped the recording process a lot. We knew what we were going to do so we spent time getting it right. The lyrics on this record feel more observational than on previous albums. Is that fair? DC: Yes. Channy (Leaneagh, singer) feels that way very strongly. Actually, I know a lot of [the album] has to do with Channy and Ryan moving to a new neighbourhood in Minneapolis that was a little unfamiliar to them. So a lot of the lyrics are just observations from their front porch, talking about what she’s seeing in the area. ‘Wedding’ was inspired by the drug trade and the militarisation of police, right? Can you tell us more? DC: Yeah. I think what Channy was going for there was how one side begats the other. The militarised police state and the forceful war on drugs – the locking up of drug dealers and drug users, and really trying to crack down on it – only makes that industry stronger. I think with all the evidence where legalisation occurs and how that affects the underground market, you realise that when you have such a powerful war on drugs it only creates more powerful criminals. But the existence of those massive drug trade empires also provide all the more reason for police to step up their game, and so they’re both building up these evil forces where you don’t want to have anything to do with either side of it. The consumers of most of it don’t even understand what they’re supporting on the one side, and that’s what [Channy’s] getting at: the two sides contribute to each other’s power in a way that’s self-destructive for everybody. Why has that become a lyrical preoccupation for you now? DC: I think because, over the past few years, we’ve seen police using military weapons on civilians. Like, when we had the riots in Missouri, they had tanks rolling down the street and stuff. It’s definitely in your face in America, and all over the news. The movement in Minneapolis with Black Lives Matter, it’s the same thing: whenever there’s a protest planned there’s a whole row of riot cops with big masks and shields and weaponry, and it’s very intimidating. So that’s not just specifically about how it relates to the drug trade aspect, but it is a real thing. I don’t think the police would ever come out and say, “Oh, we’re militarising our police force to help combat Black Lives Matter.” They wouldn’t say that, but that’s what’s happening. BI: And a lot of police departments are getting all this military equipment from the military, that’s leftover stuff from the Iraq War. DC: I don’t know the full information on this, but I think there was a law passed that said that the military can’t throw away the stuff that they replace, they have to use it in other ways. So their answer was to give it to the police forces back home. I don’t even know if they really understood the symbolic power of that and how much that would have an effect on people’s perception of the police. It is scary, I mean, when you’re looking at your local cops and they’ve got these massive weapons and armoured vehicles. It’s unsettling. You don’t feel like they’re on your side or that they’re there to protect anything but property, which is actually what they’re doing. Imagine walking up a street to 45 of them in a row there, standing there blocking you from passing down a city street that you’re free to walk down... Yeah. I think ‘Wedding’ is speaking to that. And where does the title United Crushers come from? BI: The song ‘Melting Block’ has the phrase “united crushers” in it, and it’s from a graffiti crew in Minneapolis. Their most famous tag is on the grain silos near this train yard, near the University of Minnesota. DC: It’s looming over the city, every time you pass by. That’s what we like about it: you do feel like you’re being crushed by the city a little bit, and by the powers that be, but at the same time it has this air of, “If we unite we can be more powerful.” That’s more how it feels: together we are all crushing sh*t. It’s sort of more a homage to the city and to the creatives in Minneapolis. Is there anything that you’ve learned in the process of making this album? DC: For me too, musically speaking, it was about trying to avoid the instant natural tendencies that we have as a band, or that I have as a drummer. Even the idea that you have to play all the time. I feel like there’s a lot of moments on the record where we just decided to leave it empty, and it makes the part where it kicks back in all the more powerful. It’s about giving the songs what they need, not just figuring out something to do because you’re a member of the band and that’s what you’re supposed to do. It’s working on a song collectively, and understanding the other people in the band and giving them room to do their stuff. I think with our first couple of records we all felt like there was a lot more to learn, and we had not yet really achieved what we wanted to yet. With this record we got a lot closer. Instead of hearing these ideas we had in the studio come together, this was how we wanted it to sound and we hit the nail on the head. Also, outside of the music, we’re all excited for these next tours because we’ve done it before, so it’s not like a new thing to be touring throughout Europe for example. We know what we want to get out of it now. Personally, I want to come at it a little bit more professionally and work harder; think about the shows more and less about the sights I’m going to go see after soundcheck. We’re still gonna do that because we’re not gonna get to travel our whole lives like this, but I am looking at these next tours with a focus on the performance, and how to make that the best it can be. So the plan is to tour for the remainder of 2016? BI: It’s all coming together still. We have through April booked, and we know we’ll be coming back to Europe for all of October. DC: We do have another project later in the year too: a collaboration with this orchestra group called Stargaze. I think they’re technically based out of Berlin but their members are all over Europe. And it’s through this thing called the ‘Liquid Music Series’, based in Minneapolis. 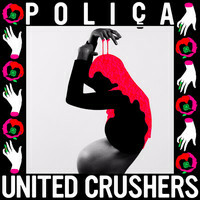 They pair different projects together to do a collaboration, and so Poliça was paired with Stargaze. We’ve had a couple of meetings with them so far, just talking about what we can do. They’re brilliant musicians - strings players and woodwinds and stuff - so we intend to come to Germany a couple of times this year, to write and rehearse with them for some performances in the fall. And then our other band, Marijuana Deathsquads, are working on a Berlin residency for September. So we’ve got some stuff in the works, yeah.